BNA Bank celebrated the opening of its new mortgage offices with a ribbon-cutting ceremony Wednesday morning. New Albany, MS– New Albany’s BNA Bank celebrated the opening of the new offices of its mortgage operations with a ribbon cutting ceremony and open house reception, Wednesday, Dec. 7th. 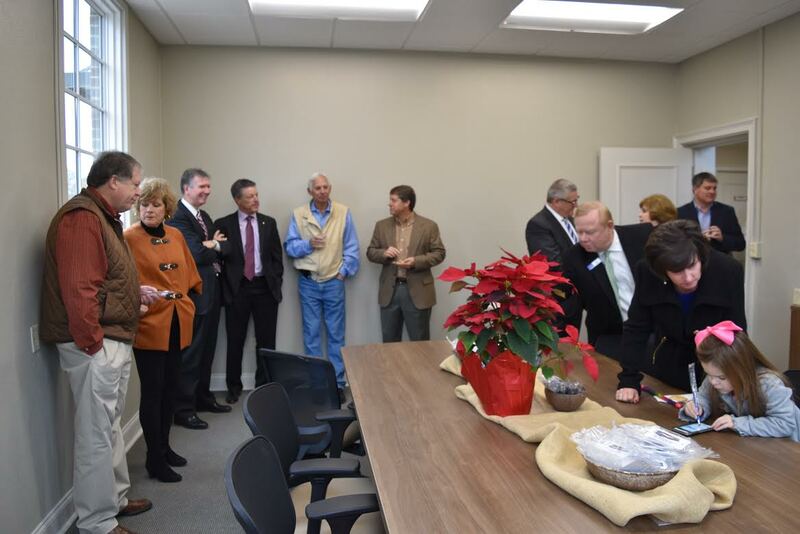 Visitors enjoyed refreshments in the conference room of the new BNA Bank mortgage offices. About 60 people were present when New Albany Mayor Tim Kent cut the ceremonial ribbon shortly after 10 a.m. The reception continued until 3 p.m. The renovated facility, the location many years ago of the Union Bus Station, has been repurposed to house BNA Bank’s growing mortgage services operations. Architect William T. Mills was in charge of the extensive work that converted a well-built but under-utilized older building into bright new business offices.